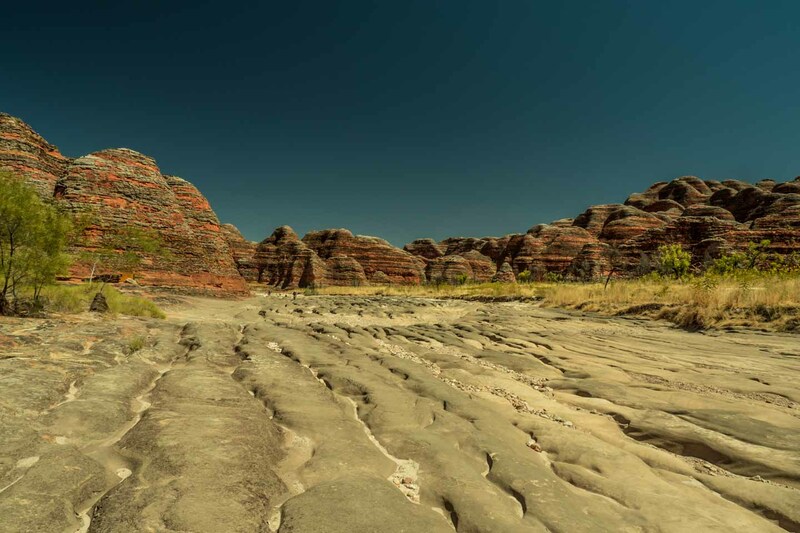 Heading west from Kununurra we had to make a choice: Follow the highway and visit Purnululu National Park, home of the Bungel Bungels, or instead, take the Gibb River Road, one of Australia's most famous gravel roads running almost 800 km throughout the picturesque Kimberleys. We decided to not miss out on the Gibb, so the next question was whether or not the Bungel Bungels were worth an extra 500 km return-trip. 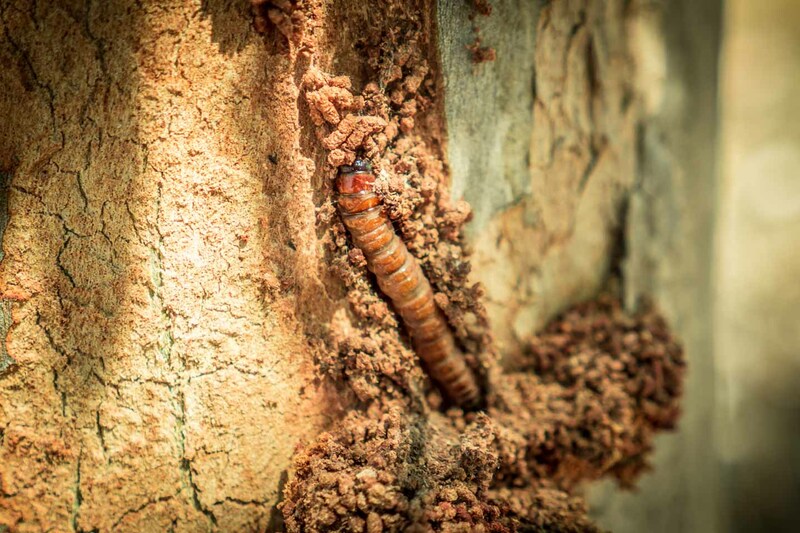 Read the article, look at the pictures and you know the answer. 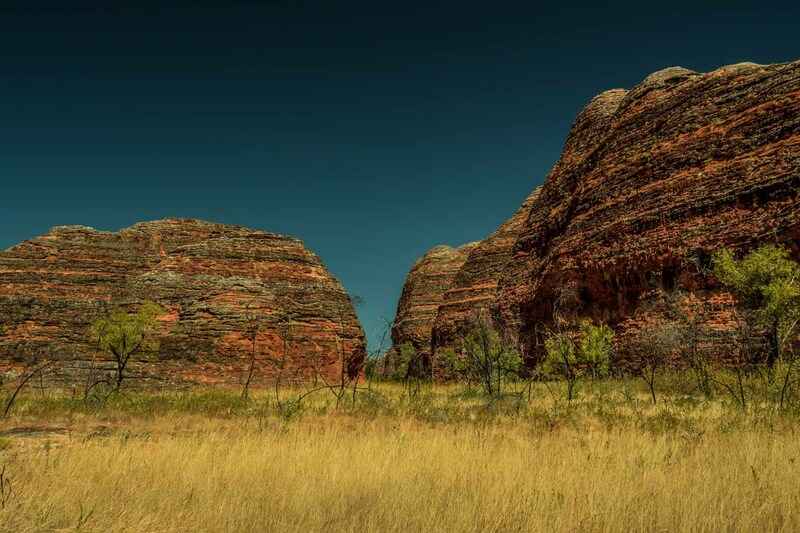 There is one major drawback considering a visit to the Purnululu National Park, it's a 4WD destination only. 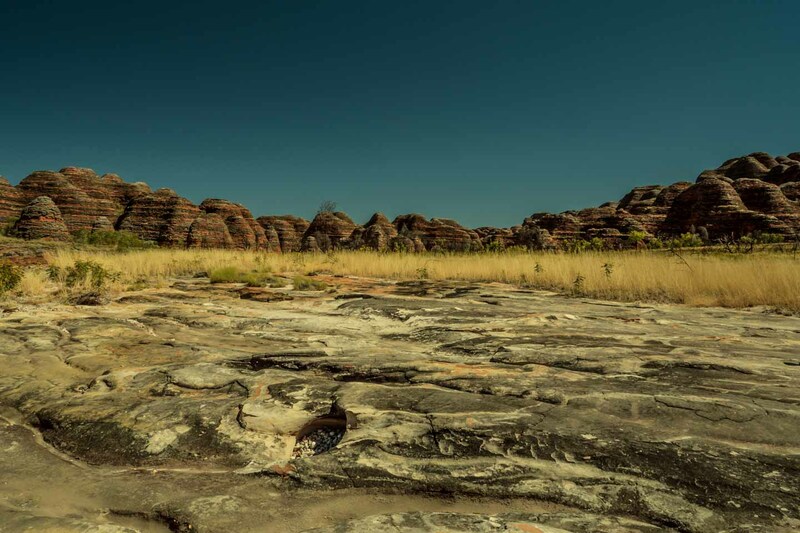 We heard this about many places before but most of the time you would rock up in some remote bush camp just to see a bunch of crazy backpackers in an old Ford Falcon that somehow made it through, too. Not this time! 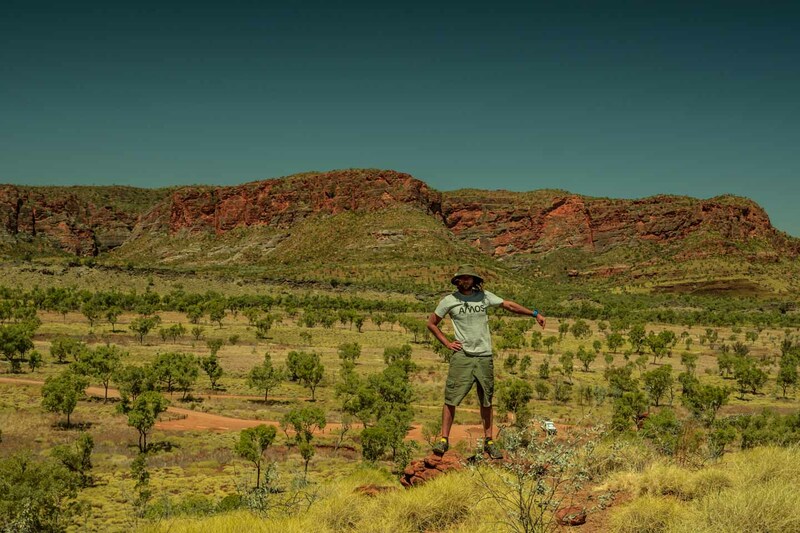 A 50 km winding road with rough corrugation, heavy dips and more than a handful of rivers and waterholes to cross might even get you struggling in a 4WD. Depending on the state of the rain season the water can get pretty deep and might even totally cut of the Bungel Bungels from the highway. We did a little filming on the way out. Our Landcruiser Troopy seemed to handle everything just fine but with a little more water or a few hours of rain, this might be a whole different story. Here's the link to our YouTube video. Sharing is caring and will support us through the advertisement. Driving into and through the national park is an adventure by itself. The landscape changes constantly and makes you wanna stop every few minutes. We could have taken hundreds of photos just on the way in, not even talking about the short tracks that connect the parks main attractions. Before entering the park you have to stop at the ranger station, pay the obligatory park fee and sign into one of the three campsites if you are planning to stay the night. From there you can either head north or south to visit one of the many attractions of the park. We decided to head north first and safe the other part for the next day, but to be honest, it's not making any difference. 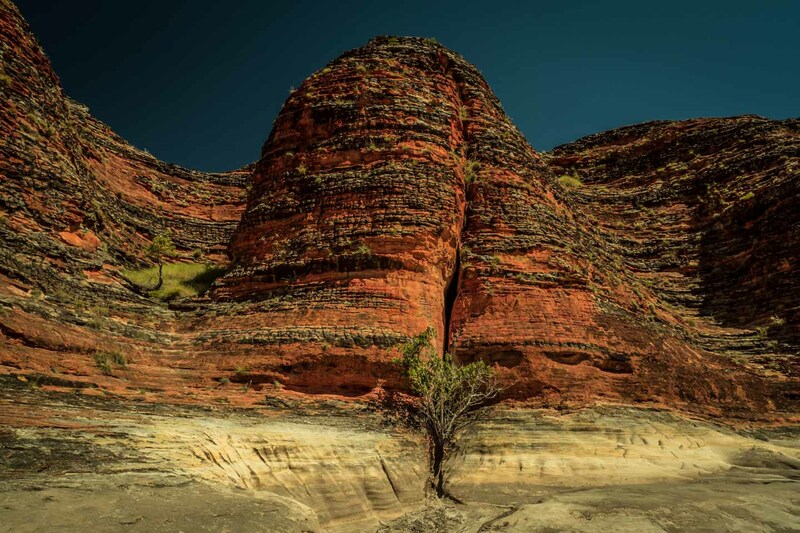 Welcome to Echidna Chasm! 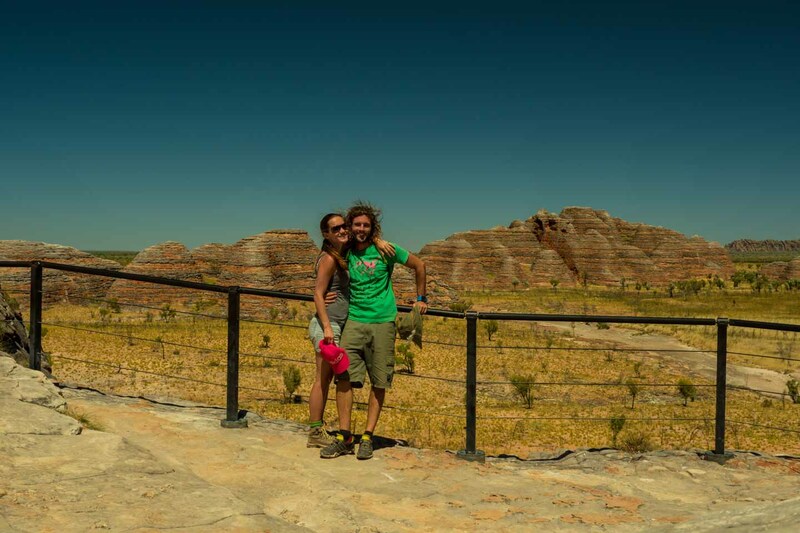 Our decision to start with the northern part of the Purnululu National Park was primarily based on the fact that we thought Cathedral George was the parks main attraction and opted to save it for the very end. But look at this, how much better can it get? 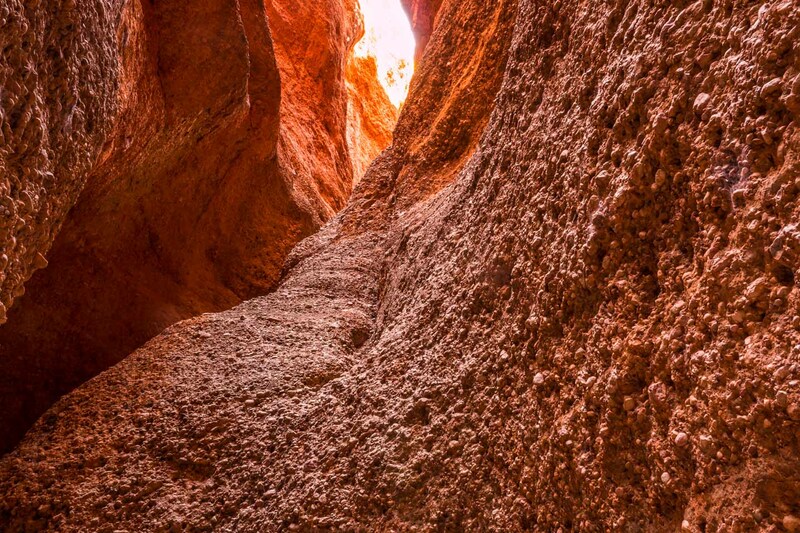 Echidna Chasm is a short walk along a deep crack in a massive rock formation. The track gets really narrow with vertical wall rising on all sides. Something we definitely did not expect and looking at the pictures we took that day, still takes our breath. There are a few openings and ceiling lights along the track that invite to take a break and absorb the magnificent surroundings. The rocks are glowing in all nuances of red and the colors seem to be so vivid and unreal. Something you can hardly capture in a picture. Even though the track is quiet short we spent a far bit of time just strolling around and enjoying this unique creation of mother nature. 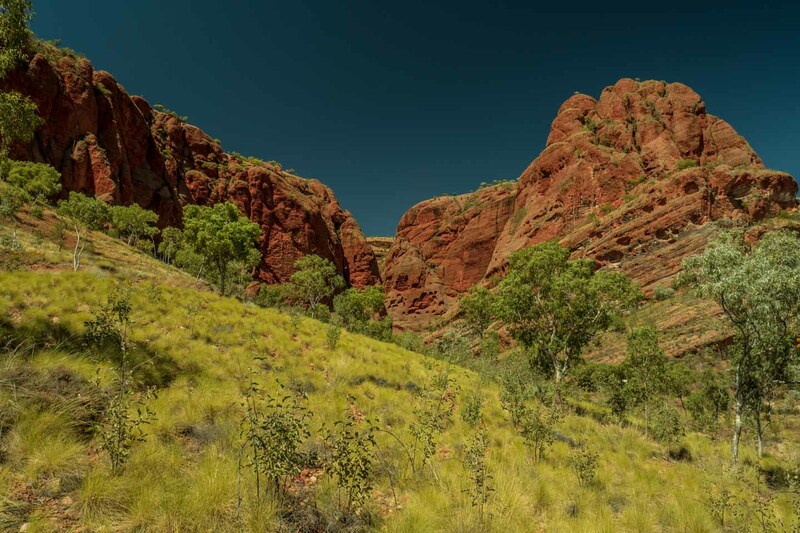 Right next to the Echidna Chasm there are two more tracks taking you to Froghole Gorge and Mini Palms Gorge. They are well worth taking and you get to see the whole area from different perspectives. The intense red of the rocks, the luscious green of the vegetation and the blue sky was something we could not get enough of. A few decades back this little bugger might have been part of our diet. 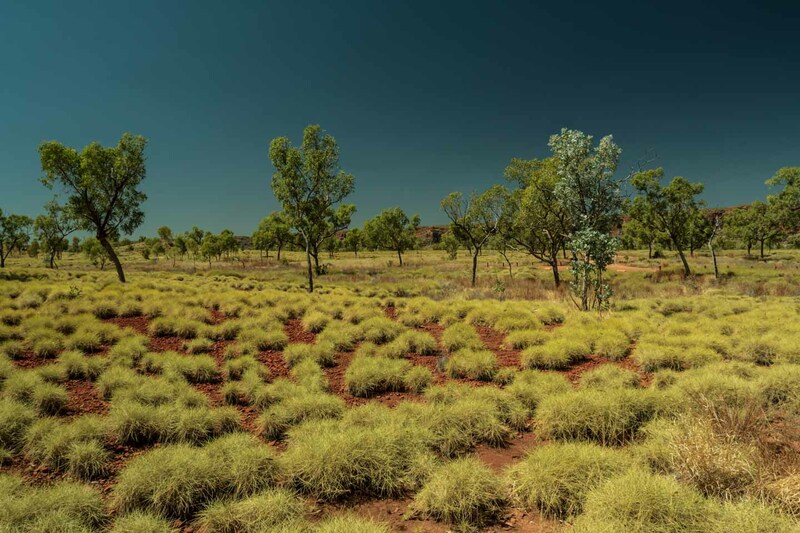 Australian indigenous people collected and ate all sorts of larvas. It's a great source of protein and if you know what you are looking for, quite easy to find. I was tempted to give it a try but rather have someone on my side who knows more about it. We are still in Australia where even the smallest creatures might kill you. Heading back to the parks main entrance make sure to stop at the Walanginji lookout. It's only a short walk up the hill but offers stunning views. Going up, enjoying the surroundings and returning back to the car park took us about one hour and we did not see a single soul during that time. Not doing the walk, nor driving by. It seemed like most visitors would rather stick to the eastern end of the park where the so called main attractions are located. After exploring one half of the park we settled for the night at Walardi campground. 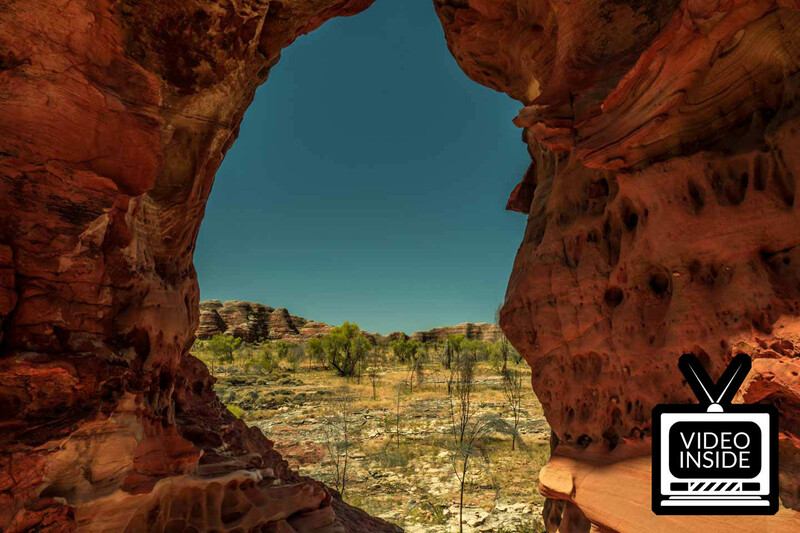 There are 3 campsites in Purnululu National Park but you have to decide when and where you want to spend your nights right from the beginning. We shared the campsite with only a handful of other people and a large variety of birds that came to check us out. 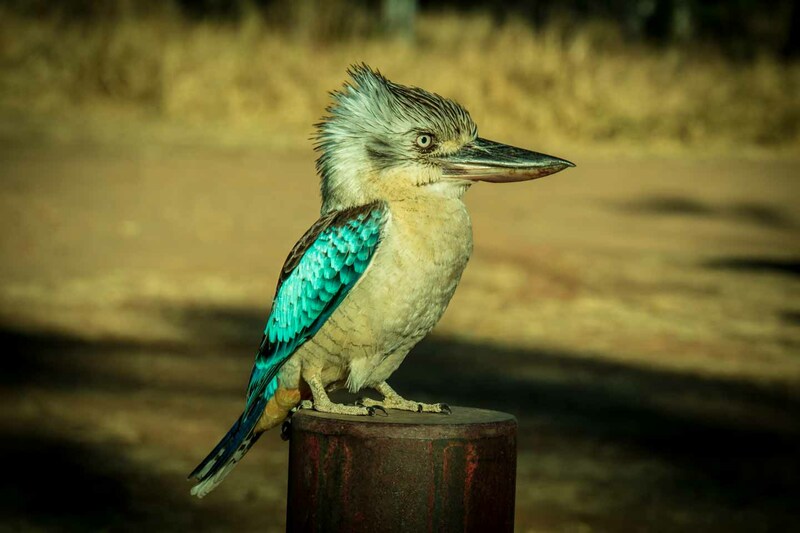 Our favorites were the Blue-winged Kookaburras. We had a few sitting up in the tree watching us all the time. Unlike their southern relatives they are not laughing, meaning they are not shouting a unique call that sounds like a laughter. After a good meal cooked on the open fire we just set back, relaxed and enjoyed one of the most amazing starry skies we have ever seen. 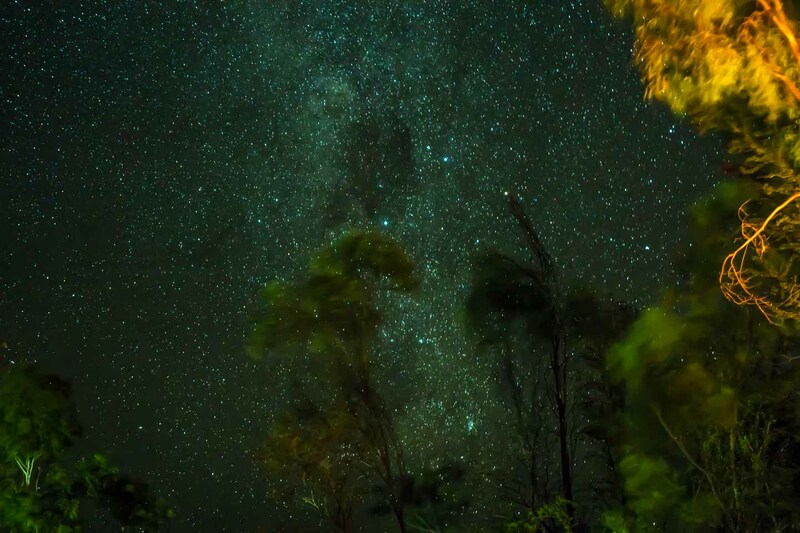 There is no light pollution at all and in combination with the dry and clear air you get the impression you could literally touch the stars. I have never seen the milky way in such a clear and colorful way. It would be well worth to visit the park just for a night like this. The next morning we said goodbye to an Australian family we met the night before and I could not resist to take a picture of their travel rig. It's a pretty unique and expensive combination. The main vehicle is a U5000, a Unimog custom built by Mercedes-Benz in Germany. The remaining setup was done in Australia and surely has taken some more time and money. 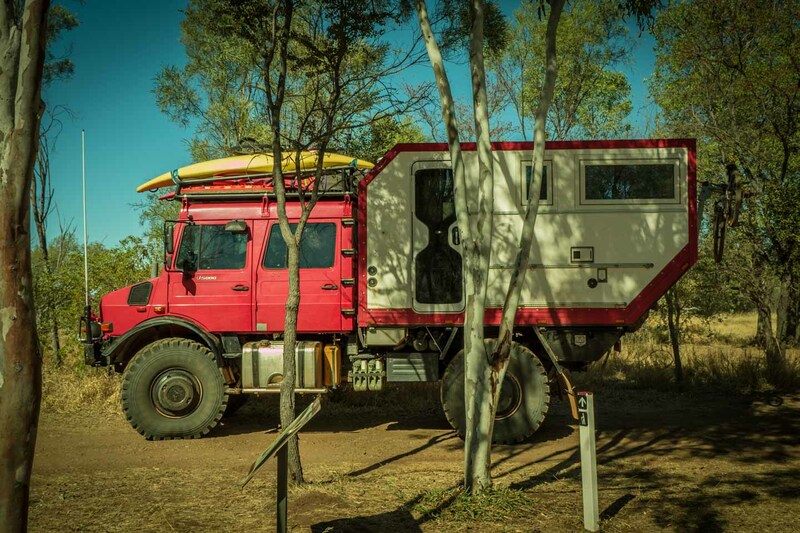 It's a self-sufficient monster of a camper and I think in terms of 4WDing there are not many campers that would take you any further than this one. The Bungel Bungels have somehow become a synonym for the whole park but are actually only one of the parks attraction. There is no such thing as the Bungel Bungels National Park. 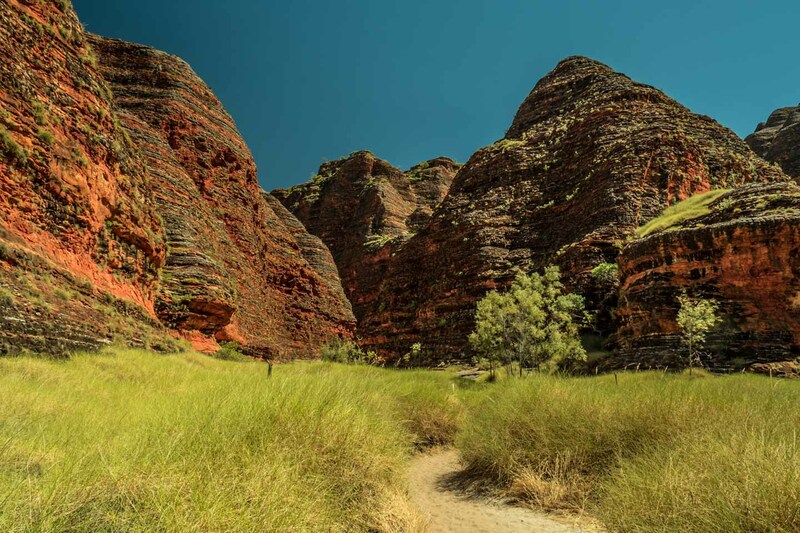 It's the Purnululu National Park that is home to the Bungel Bungels. Finally on our second day we got to see what the whole hype was about and to recall the unclear nomenclature stated before, I can forgive anyone for doing so just by looking at the first little track we were taking into this unique rock formation. A short track takes you from the last car park on the eastern side of the park to Cathedral Gorge. 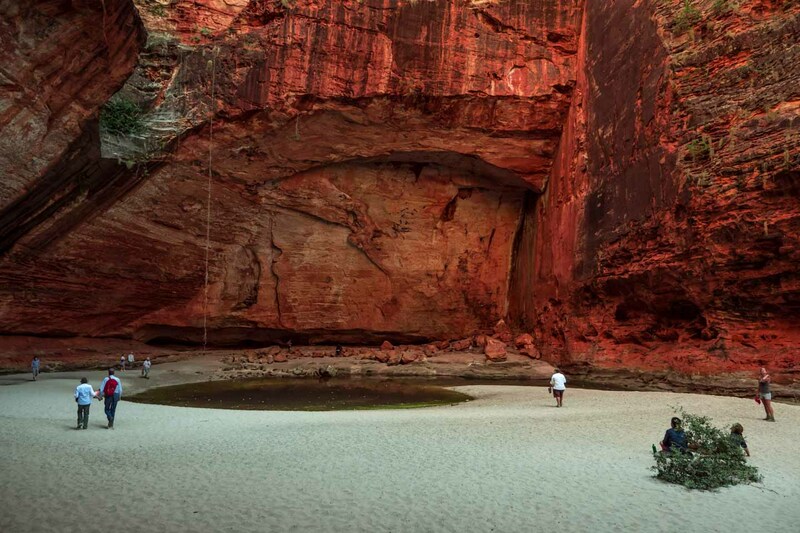 It's a massive red rock cave with a little water hole. As impressive as it is, here we met the most visitors. Cathedral Gorge's reputation and the fact that it's only a short stroll from the car park make it probably the most crowded spot in the park. It does not take much to get away from the crowds. 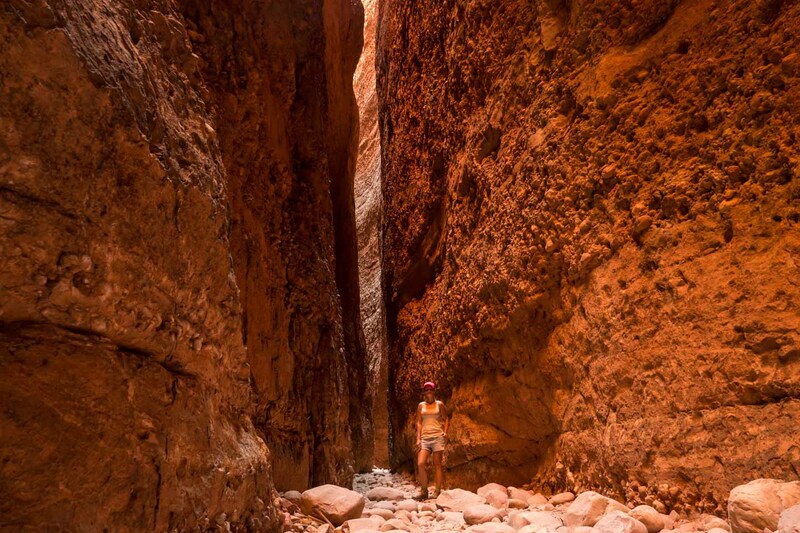 Once you leave Cathedral Gorge and turn left instead of heading back to the car park you can walk for another 30km. The further you get the less people you will see. We pretty much had the whole track and the lookouts to ourselves. The track through the Bungel Bungels mostly leads on uneven ground. 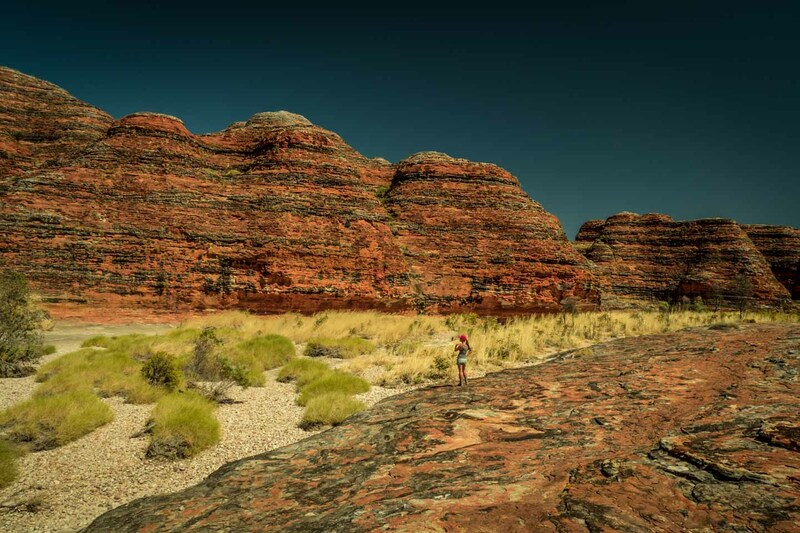 Take a good pair of walking boots and if you want to cover the whole 30km to Picanninny Gorge you want to throw in some camping gear, food and lots of water. It will take you a fare bit of time and you will have to walk all the way back, something that should not be taken light hearted. 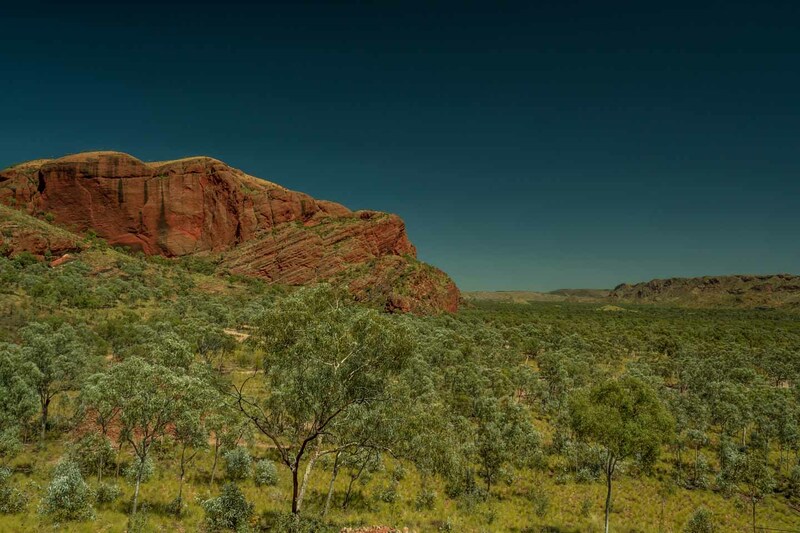 We decided to walk no further than Whipsnake Gorge which is about two hours after leaving Cathedral George. It was a pretty sunny and hot day and although we took plenty of water once we got to the turning point there was not much left. The track through the Bungel Bungels is one of the best tracks we have done so far. It's a very unique landscape with almost no signs of civilization. As you are walking partly on solid rocks there are no beaten tracks which makes you feel like the first person exploring this area. Stop, relax, absorb, rejuvenate! This place is full of energy. I could have taken pictures like this every minute. The landscape somehow stays the same but surprises with new combination of the natural elements in vivid colors with every step you take. We could have stayed forever on this track but at some point made the rational decision to turn around. We were about two hours into the track and the sun was burning. We each had taken 1.5 liters of water which was slowly running out. We did not wanted to rush the way back either, getting to see the whole thing again from another perspective. Now coming back to my initiatory question, are the Bungel Bungels worth an extra 500 km return-trip?! If you read the article I thing you know the answer. It's not only worth it, it's beyond. Beyond the horizon, beyond imagination and beyond anything we have seen before. 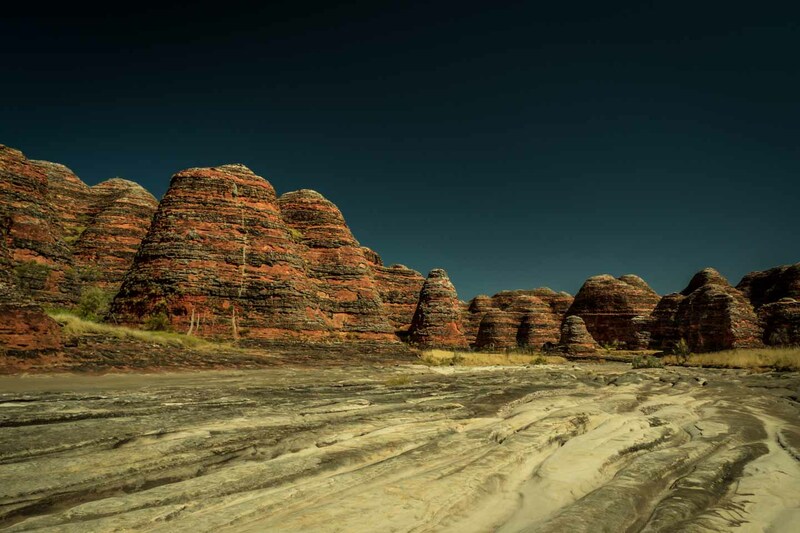 The whole of Purnululu National Park is a very unique place unlike no other on this planet. Don't make the mistake to only focus on the Bungel Bungels, they are stunning but the park has so much more to offer.